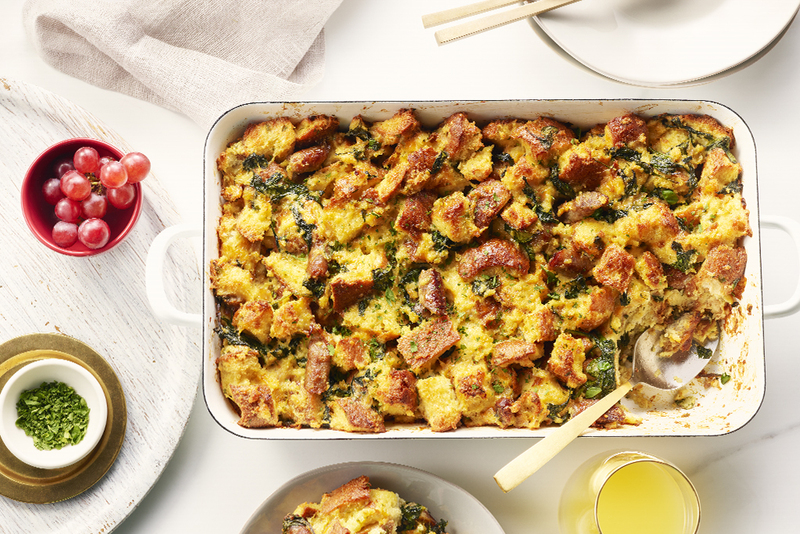 Relieve your holiday stress by making this family favourite brunch the night before. This make-ahead all-in-one casserole is as easy as it is delicious. Cook breakfast sausages and chopped onions in skillet over medium heat for 5 minutes or until browned. Add minced garlic and baby spinach. Cover and cook 1 minute, or until spinach is wilted. 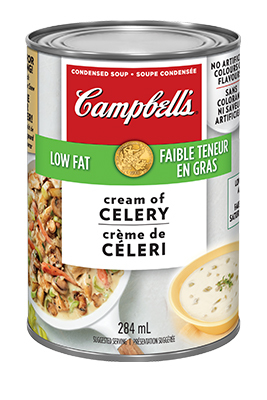 In large bowl, combine cubed day-old bread, lightly beaten medium eggs, CAMPBELLS® Condensed Low Fat Cream of Celery Soup, shredded cheddar cheese, finely chopped fresh basil and sausage mixture. Mix well. Scrape into greased 2.5 qt (2.35 L) baking dish. Cover and refrigerate for at least 8 hours (or up to 24 hours). Heat oven to 375°F (190°C). Bake 45 minutes or until golden brown and a knife inserted in centre comes out clean. Serve with a mixed green salad or a broiled tomato half. For a little extra colour, add 2 green onions, chopped, to the mixture before transferring it to your casserole dish. If you dont have day-old bread, cube fresh bread and toast on a baking sheet in a 350°F (180°C) oven for 10 minutes before using.